Does this treat existing infestations? 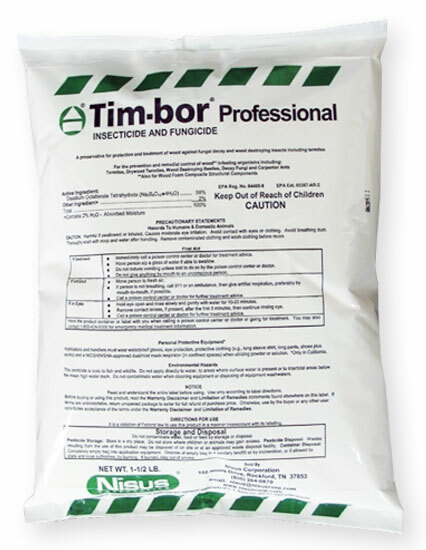 Timbor is a white powder dust that is similar to boric acid. It is mixed with water and sprayed or brushed onto wood. It can kill existing infestations of beetles, but a better product would be Bora Care. Timbor does not penetrate wood very well. Only up to 1/4". Bora Care will penetrate up to 2". Both products can only be applied to bare wood. They will not penetrate stain, paint, varnish, etc.